Sling TV is one of the most popular services for streaming live TV and finally cutting the cable cord. It provides an array of channels that can rival nearly any traditional television provider. That said, managing your Sling TV subscription isn't always simple. If you want to cancel Sling or change your subscription package, you'll need to find your way around their website and account management pages. The first step in either case is getting to your account dashboard. Open your web browser and head over to Sling. When you arrive, select Sign In in the upper right of the page to log in to your account. You'll arrive on Sling's login page. Enter your email address and password, and press Sign In to continue. If you're using a VPN set anywhere outside the US, you'll probably run into an issue signing in. Make sure to use a US based IP address when signing in to Sling. Sling will take a second to load up, but after it does, you'll land on their streaming interface. Locate and select the gear icon in the upper right corner of the screen to open up your account settings. You'll arrive on the settings page with the Account tab open. Select Manage Account to open a new tab for your account preferences. Sling will open a new browser tab for your account dashboard, which contains all the links you'll need to manage your account. That includes canceling your subscription and changing your package. If you want to cancel your subscription, continue on to the next section, if you're just here to make changes, skip to the last section. If you want to cancel your Sling account altogether, follow the steps below. You'll find the link to cancel your subscription on the left side of your dashboard under the My Subscription heading toward the center of your screen. Select Cancel Subscription. 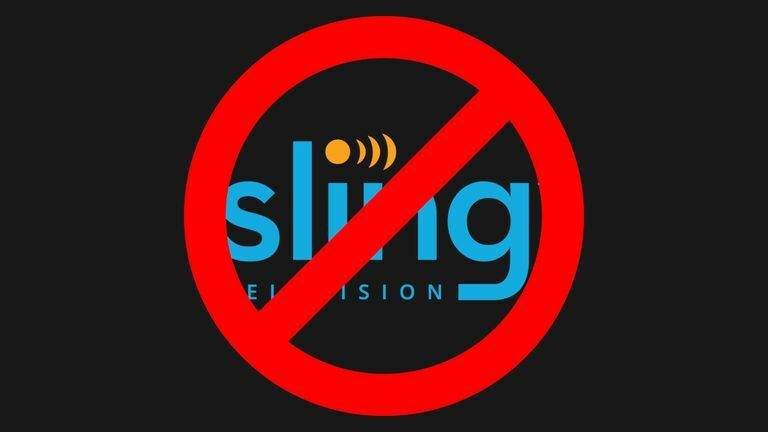 Sling will present you with a message trying to change your mind about canceling. If you're sure that you want to cancel, press Cancel Subscription at the bottom of the message that popped up. Sling will then give you the option to pause your subscription instead of canceling. If you're going on vacation or simply won't be able to use Sling, this is a good alternative to canceling outright. Of course, if you're not happy with your service or have other reasons to cancel, select Continue To Cancel to continue with your cancellation. Sling may send you one more message asking why you want to cancel. You can choose to fill it out or not. Pressing Continue To Cancel again will finalize the process. Your Sling TV account is officially canceled, and you will no longer be billed. If you want to make changes to your subscription, like adding or removing channels and packages, follow these steps. Select Change Subscription on the left side of your screen under the Your Subscription header. Sling will direct you to a new page that lists all of the options that Sling offers. At the top of the page, you'll find the basic Blue and Orange packages. Below them, Sling lists its standalone and Latino subscriptions. Select Show More below any of the major categories to display a complete list of available channels and add-on packages. Press Select or Add next to the package that you want to add. It will shift to a yellow check mark, just like the options that you already on your account. Removing a package from your account is the exact reverse. Press the check mark next to a package that's checked off. It will revert to a blue Select or Add. When you have the configuration you want, scroll to the bottom of the page, and press Review. Sling will take you to a breakdown of your new bill with an itemized list of everything on your account and the associated charges. You'll see any additional charges for adding a service part way through a billing cycle. Those will be charged immediately. Near the bottom, you'll find your new monthly total. If everything seems correct, select Submit Order to make the change stick. Return to your Sling player of choice, and start watching your new channels!